You and your spouse may be able to deduct medical bills from your taxes. 3. Are Health Insurance Premiums Deductible If You Take a Deduction for an HSA? If you and your spouse have medical expenses that aren’t covered by insurance, the bills could quickly add up to a substantial amount. To help ease some of the strain on your budget, the IRS allows you to deduct expenses that add up to more than 7.5 percent of your adjusted gross income as of 2012 -- a level that is set to rise to 10 percent in 2013 unless Congress takes action otherwise. You must itemize to take advantage of this deduction. Married couples who file jointly add their medical expenses together. 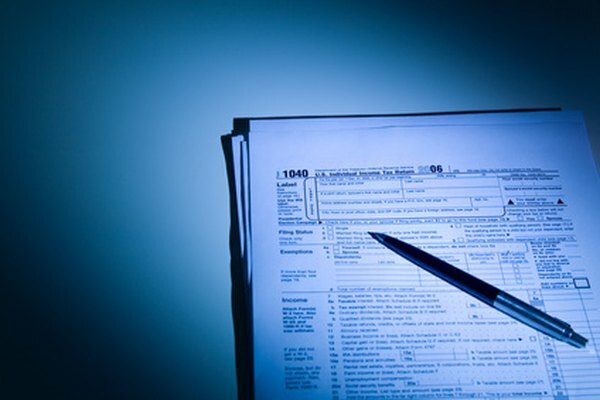 The IRS includes a list of acceptable deductions in Publication 502 – Medical and Dental Expenses. In addition to obvious things such as doctor’s visits and the cost of hospital treatment, you can deduct the cost of dental care, eyeglasses and vision care, and mileage for travel to and from doctor’s visits or medical treatment. You can deduct the cost of special equipment to accommodate a handicap, including modifying your home to make it accessible, and treatment for drug or alcohol addition, smoking cessation, or weight loss if you’ve been diagnosed as obese. You can’t deduct costs that are reimbursed by insurance, non-prescription medications or cosmetic surgery. Include medical expenses for you, your spouse and your dependents. If you provide support for a parent or other relative whom you can claim as a dependent, include that person's medical expenses in your total. If your spouse incurred medical expenses before you married, you can claim them as long as you were married at the time you paid the medical bills. You can deduct medical expenses that exceed the minimum percentage of your adjusted gross income. Your income includes all the money you and your spouse together list as income, both earned and unearned. You figure your allowable deduction on Schedule A. Medical expenses are the first category of deductions on Schedule A. For 2012, enter your total medical and dental expenses on line 1 and subtract 7.5 percent of your adjusted gross income from line 38 of Form 1040 to determine your allowable deduction. Add your medical deduction to your other itemized deductions and transfer the total from line 29 of Schedule A to line 40 of Form 1040. Can I Claim My Mother Who Is a Retired Widow? Are Health Insurance Premiums and Medical Bills Tax Deductible?